Original New Cufflink Designs. 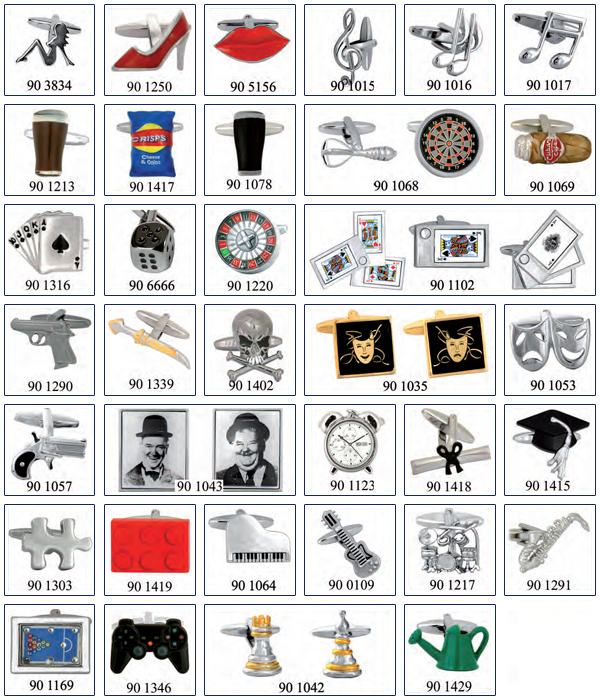 We offer a wide range of motifs from celebrity cuff links memorabilia, chess men, tool sets, steering wheels, guns and drama. Humorous gift ideas for motorists, sportsmen, actors, theatre goers and collectors. Our novelty cufflinks are only available as wholesale supply to the trade, and make ideal birthday and christmas presents.